The Super 18X zoom lens mobile camera lens delivers 18 times high definition HD optical magnification to take photos for the things at long distance very clearly. Ultra-long vision, show the quality of pictures with high resolution and vibrant colors. 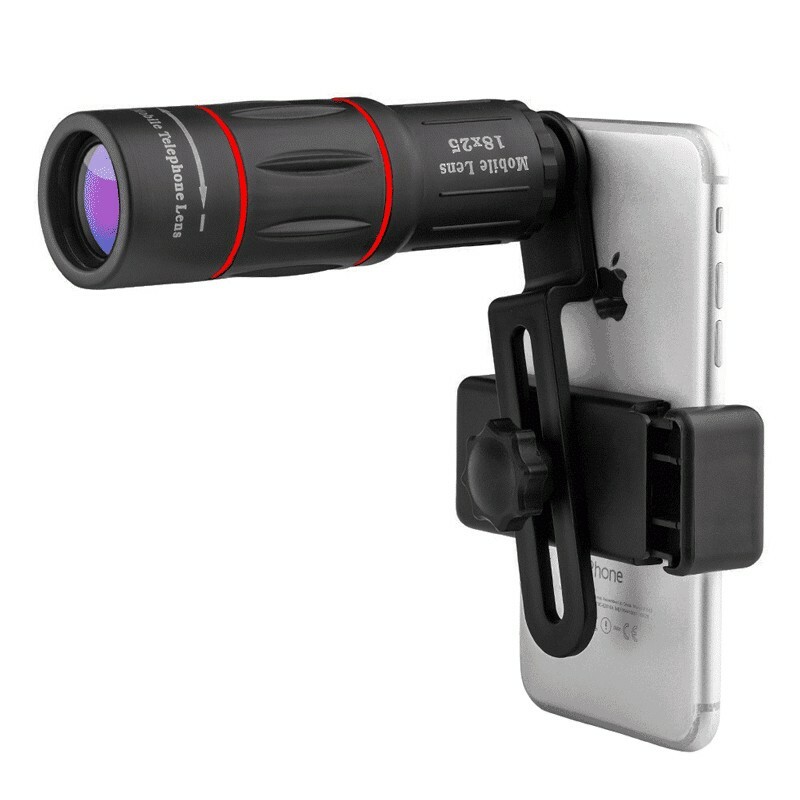 Overcome the shortage of your phone camera that can only take pictures of close distance, lets clear vision representation of your eyes omni bearing shooting experience! Make your photography experience more amazing and fascinating. Take DSLR like blur background photos with manual control over the focus. With our sharp easy-to-focus design, people will have a hard time believing your photos came from your phone. The 18X zoom lens mobile camera lens takes crisp zoomed pictures to a whole new level. Great for taking photos or videos of wild life, eclipse, landscapes, cityscapes, sports, concerts and works well with all your favorite photo and video apps. 18X zoom lens mobile camera lens easily mounts onto any smartphone with the universal detachable mount, that is very convenient to operate. With our phone zoom lens, the world is your studio, just waiting to be discovered. Our high definition lens is the perfect companion for any traveling experience, breathtaking nature hike, or the simple hidden gem in your very own backyard. Fully compatible with iPhone, iPad, Samsung, OnePlus, Xiaomi, Huawei, Oppo, Vivo, etc. 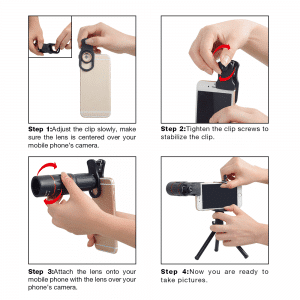 Don’t worry the mount will not scratch or damage your mobile phone. This lens can not change the pixel of phone camera, and the photo quality depends on the phone itself. This lens is made to improve the zoom length.